Firstly, it is worth noting outsourcing accounting jobs benefits everyone. If you’re not sure how just visit our page The Ethics of Outsourcing Australian Compliance Work. You may wish to allay any concerns a client has about outsourcing accounting work. Remember, banks and credit card companies have been outsourcing for over twenty years – without your direct permission and it is quite the norm now. How have you been affected? Was it a problem? I doubt it. One of the main things for you and your clients need to be clear about is that you are ultimately responsible for the supervision and control of the work and therefore are compliant because that is required by law. (Naturally for you that does mean checking out your outsourcing provider’s credentials and security protocols and also their compliance with APESB and TPB guidelines about supervision). The easiest way is to inform your client is providing the information in your engagement letter. 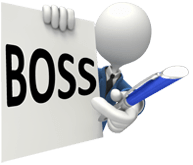 Explain how you may use a third party contractor (like BOSS) to do your work. Like you, we are operating a business and experience the same pressures and frustrations as many of you. We have difficulty finding professional staff, and trying to keep our costs under control is a constant battle. We are now employing a number of strategies which we hope will keep our costs down, thereby allowing us to remain competitive with the fees we charge. One of those strategies is to outsource compliance work. We currently have a relationship with a company operating from Sydney which provides qualified accounting professionals, working from offices in India. The firm holds a Practicing Certificate from the CAANZ and operates to extremely high ethical, privacy and security standards. These accountants have limited access to our database, and are able to cost effectively undertake accounting and tax functions. This frees up the time of our highly qualified team and allows us to add value to you and your business, rather than attending to compliance obligations. So if you were considering outsourcing accounting but were a bit stuck on how to handle your clients – you now have a way forward. Embrace the opportunity! Our next blog post will be on the topic of how to get staff on-board and manage the change process. Look out for our email alert!